As my plane was about to land in Dallas on Sunday, the pilot announced that the temperature was 102. On Sunday evening the meteorologist on a local TV station described Monday as a cooler day, his forecast: temperature 101, heat index 110. Monday morning at 5:45, I met Joachim Herz, the researcher-rider on this segment, and Melanie Katz, the “ride mother”, in the lobby of the Courtyard on I-35. After a quick breakfast and ride briefing at Denny’s, we headed for the petition signing event at Pegasus Plaza in downtown Dallas. Just before the event, I stepped into a car to do an interview with Rick Hadley from WBAP radio. Gerry Sampson, Vice-Chairman of our National Board, who attended the event with his Dallas Chapter volunteer and staff colleagues, tells me that the interview ran all day. Thanks to Rick and WBAP for helping us to advance our mission. The Breakthrough Ride, of course, is aimed at advancing our mission by moving our federal leaders to take action on Alzheimer’s the way they have on cancer, heart disease and HIV/AIDS. Those investments have worked and many, many lives have been saved. The research investments in Alzheimer’s are very low by comparison. We have no treatment that slows or stops the progress of the disease and no national plan to address the burgeoning crisis. Our job is to change all of that. As Joachim and I rode through the early morning on shaded bike paths, along the tree lined streets of some very nice Dallas neighborhoods and under the Live Oak canopy on the campus of SMU, we knew we faced the meteorologist’s forecast later in the day. In the metaphor that is this ride, we were experiencing the enjoyable years of life that too many of us too often take for granted. By the second scheduled rest stop the heat had increased, but we enjoyed a picnic-style lunch in the welcome shadow of a homeowner’s tall wooden privacy fence. After that stop, little shade graced our path to the end of the day’s ride. The collaboration that the Alzheimer’s Association and the research community have demonstrated in the Alzheimer’s Disease Neuroimaging Initiative and in so many other ways, served as a model for us as riders. We took turns leading into the headwind that faced us almost continuously, and we alternatively rode side by side on the lane-width shoulders of Texas rural highways to break the effects of the oppressive heat, the unrelenting headwind and the paved but sometimes bone-shaking roads. At rest stops we’d douse ourselves in water as our last act before departing and within minutes in the intense sun and steady wind, after covering only a mile or two, we were dry. 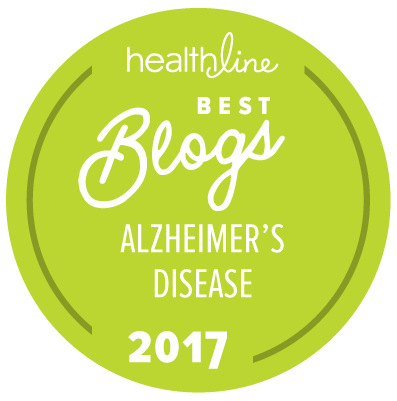 As we rode on, I thought about the very real day-to-day challenges faced by individuals who have Alzheimer’s and their caregivers. My mother had it. Right now, as many as 5.3 million mothers, fathers, sisters, brothers, spouses and friends have it. Ten million baby boomers will have it. We have to stop it. The courage and endurance demonstrated by those who are facing this disease and by those who are speaking out about facing it inspire me daily. So, even at my most over-heated and fatigued moments, for the small contribution it might add, I had to finish the 80 plus miles of today’s route from Dallas to Whitesboro to advance our cause in a different way than I have the chance to do in my daily role. I am proud of the work of the Alzheimer’s Association. I am proud to be a Breakthrough Rider. Thank you for your tremendous effort on behalf of so many who have no voice. Many, many thanks Harry for all of the ways your leadership continues to inspire us all. Safe and fast pedaling out there!